There they are! My first homemade Eclairs! After the entire cookie baking I needed a new challenge and my friend Anne was really motivated when I suggested we should try to make eclairs by ourselves. One of my last acquisitions in Aix-en-Provence was a book that I call the baking bible. It's big and has all the pastry classics in it. From easy pralines to really challenging cakes, which we all know from our favorite pastry shops. 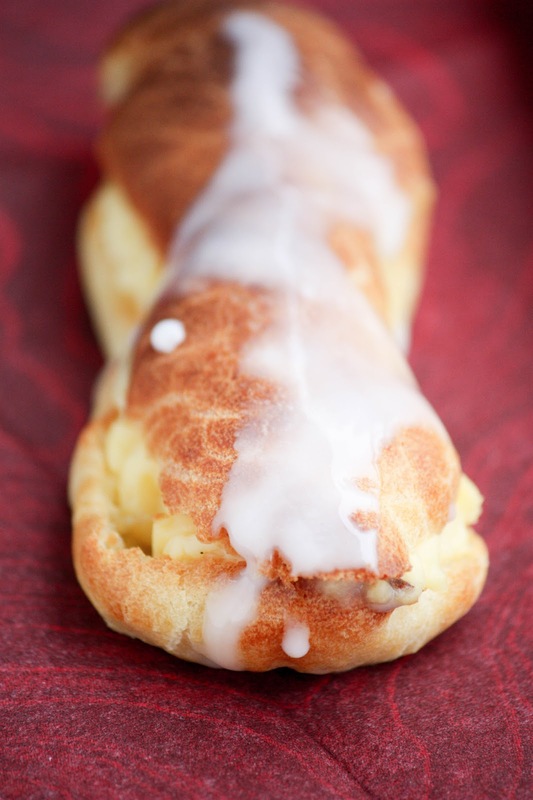 Already as a child I loved eclairs, and once in a while my mom bought me one to eat after a long school day. This is quite a while back, and I almost forgot about the taste of a good eclair. 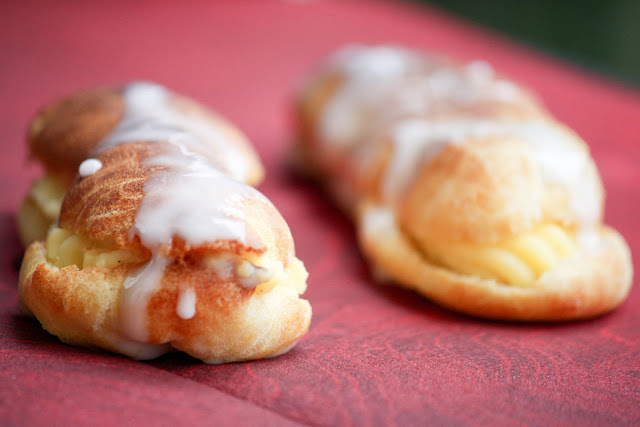 But now, after trying this recipe, I will make them more often especially as my family loved them. 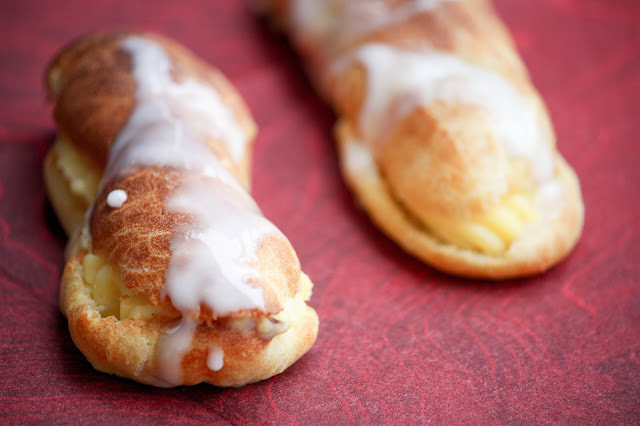 The recipe is not too difficult, but if you're not experienced with icing bags, it needs several shots before the eclairs look like the originals. But, don't be afraid, give it a try and I promise you'll get used to the bags quite quickly. Cook the milk and the split vanilla pod on a middle heat. Leave to infuse for 10 minutes before you take the vanilla pod out. During this time whisk together the egg yolks, the sugar and the cornmeal. Bring the vanilla milk to the boil again and add a third to the egg, sugar, cornmeal mix. (To get a better result pour the milk through a sieve.) Then add the rest of the milk to the mix. After this, put the whole back into the sauce pan and cook on a high heat. Whisk the whole time and as soon as the milk-mix gets thick take the sauce pan off the hotplate. Pour the hot pastry cream on cling-film and wrap it carefully, then put it into the fridge. Voilà the first step is done! 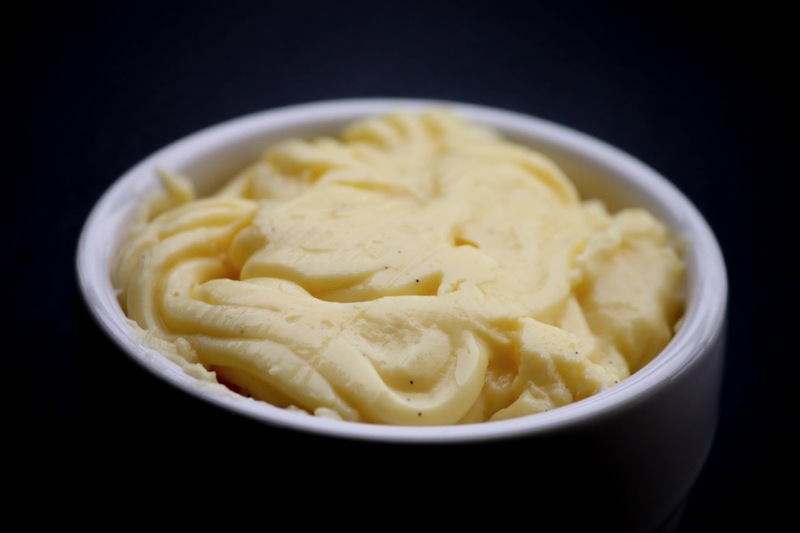 Put the water, the sugar, the salt and the butter into a saucepan and cook on a middle heat. As soon as it starts boiling take it off the hotplates and add the flour little by little. Don't stop whisking for 30 seconds until the dough has become dry. Now put the saucepan back on the hotplates and mix quickly until you get a smooth paste. Again, take the saucepan off the hotplates and add the eggs one by one. 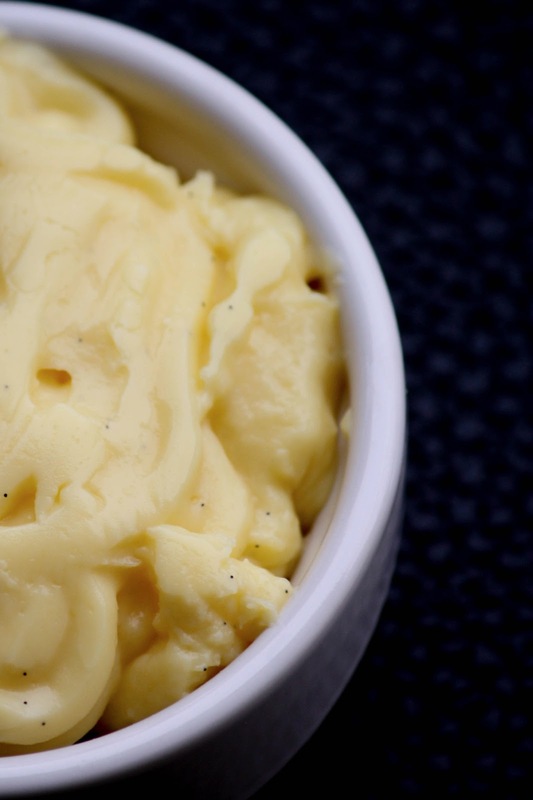 Get the pastry cream out of the fridge. Whisk it again in order to get a smooth and even cream. Cut the eclairs in two and fill them in aid of the icing bag. For the icing, heat the fondant and the water to 35°. Take it off the hotplates and start with the icing. I love éclairs!! And yours are perfect! How happy you feel when you make your first choux. Because they're simple to make, but get you a little scary before, right? 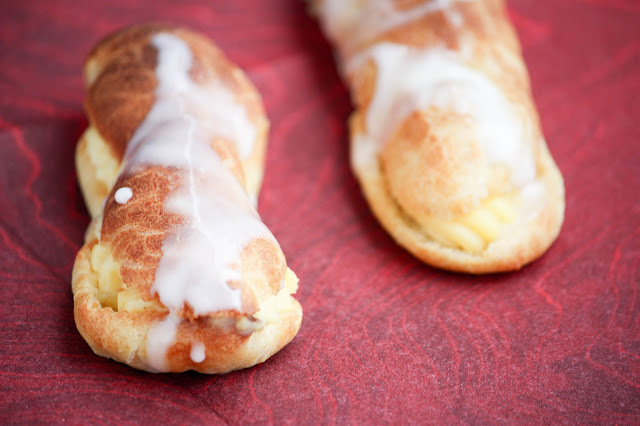 Yes, because Eclairs seems like something only the skilled pastry bakers know how to do. that's why it's scary, but the recipe as such is very easy! Just careful not to open the oven until they're well baked!